Part Time Firefighter/EMT, shifts are done on a 24 hour rotation from 8am-8am. 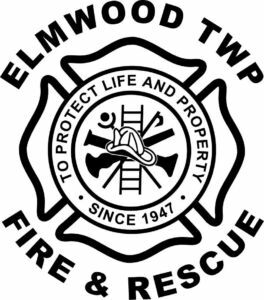 Elmwood Twp Fire & Rescue provides public service, public education, fire suppression, protection, and EMS to the residents and guests of Elmwood Township in Northern Michigan. Web application can be located on our facebook page, or there are applications located at our station. Please include a resume with your application. Submit applications to 10090 E Lincoln Rd via mail or in person.